Inspirational quotes are super inspiring and really popular these days! Words can be very powerful! Today I am showing a simple way to gather all your favorite quotes and turn them into one big pice of inspirational art! Its going to be really fun and super easy to personalize! 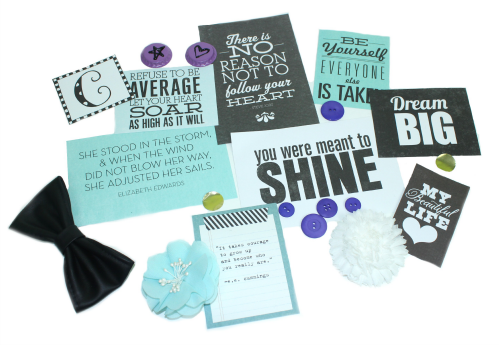 To start your Inspiration Board you will need to collect inspirational pieces. I printed some of my all time favorite quotes. You know those ones that keep you going throughout the day? Make sure the quotes you pick mean something special to you! I also gather a few miscellaneous items like buttons, silk flowers, and a bow that I thought would make a great addition to my board. 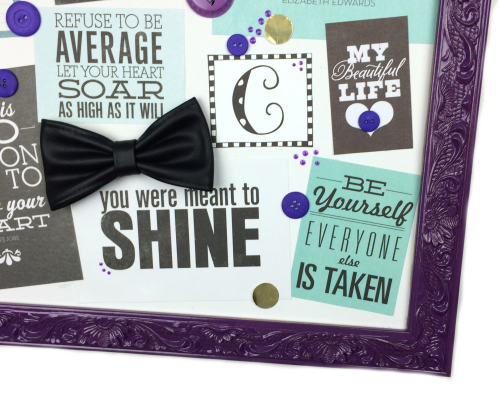 One you have collected some items that inspire you, you'll want to add them to the board. 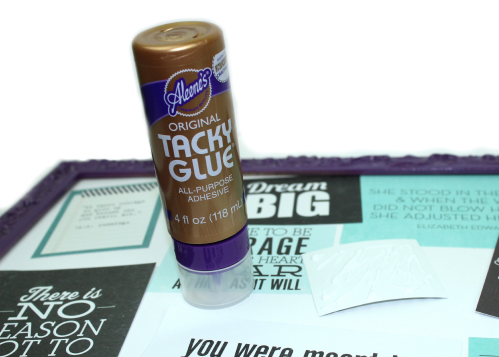 Tacky Glue is going to be your best friend for this. 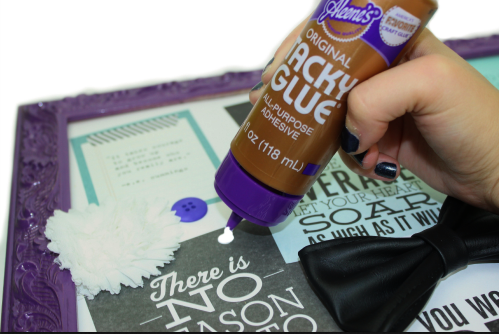 The new Always Ready bottles, which are available in the checkout isle of your JoAnn Store, are especial great for this project. I went for a collage look, so I just positioned my quotes randomly slightly overlapping them. I also used the Tacky Glue to glue down the other elements. It works on buttons, flowers, bows, bottle caps, practically everything! The last thing I did was, add a few dots and doodles with the puffy paint. Thats all there is to it really! Its now ready to be hung in your room, where it will inspire you daily! This isn't a one day project. You can start with just a few items and gradually add more as you come across things that inspire you. 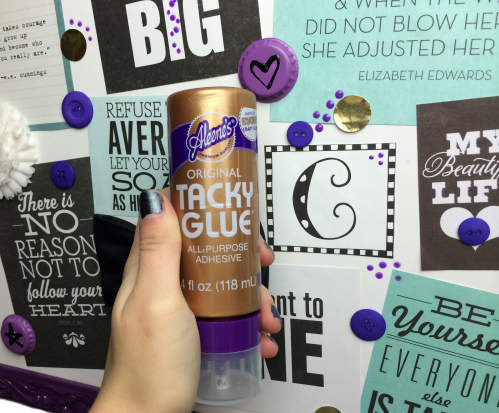 Make sure to keep your Always Ready Tacky Glue close by. Thanks to the new design, it will always be ready when inspiration hits! 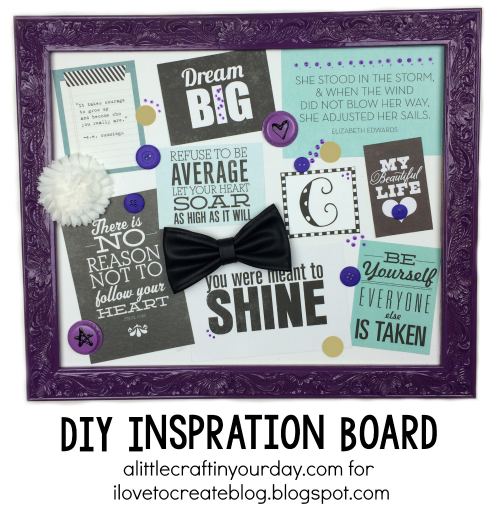 Hurry up and start your very own inspiration board! You could even start a few more specific ones. You could make one specifically for a room you're redoing, a wedding, party, the options are endless! Looks cool, I might make one for all my friends! !